Kevin is a 1999 graduate of Illinois State University with a bachelor of Science degree in Agriculture. He has worked in farm management for over 15 years and joined the First Mid Ag Services through the acquisition of Soy Capital Ag Services in 2018. Before starting a career in farm management he spent some time in the Agriculture retail business. Kevin currently holds an Illinois Real Estate Broker’s License and is experienced in assisting buyers of farmland as well as selling large tracts. Kevin comes from a farm background having grown up on a grain and livestock farm near Windsor, IL. He and his wife, Emily, and their two sons, Wyatt and Will, live on their small farm in rural Lovington, IL. Justin Wheeler was born and raised in Mt. Zion, Illinois. Growing up he took part in his small family farm where he discovered his passion for agriculture and continues to be active in. Justin received his undergraduate work at Illinois State University where he triple majored in Crop and Soil Science, Agronomy Industry Management, and Ag Business. He graduated in the Spring of 2014 with his Master's Degree in Crop Sciences from Illinois State University. Justin started his farm management career with Soy Capital Ag Services, and joined First Mid Ag Services through the acquisition in 2018. He holds the Managing Broker License for the Decatur office and a FAA UAS Remote Pilots License. 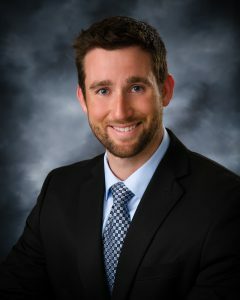 Justin also operates the First Mid Ag Services website and is a member of the American Society of Farm Managers and Rural Appraisers as well as the REALTORS® Land Institute. Since his start in farm management in 2014, he has been involved with over 4,000 acres of farm brokerage and farm management acquisitions. Dan received a B.S. in farm business management from Western Illinois University in 1976. He has worked for Soy Capital Ag Services and predecessors for more than 40 years prior to the acquisition by First Mid Ag Services in 2018. He is a licensed Illinois Real Estate Broker. Dan operates his own farm and seed corn production operation while working part time for Ag Services.